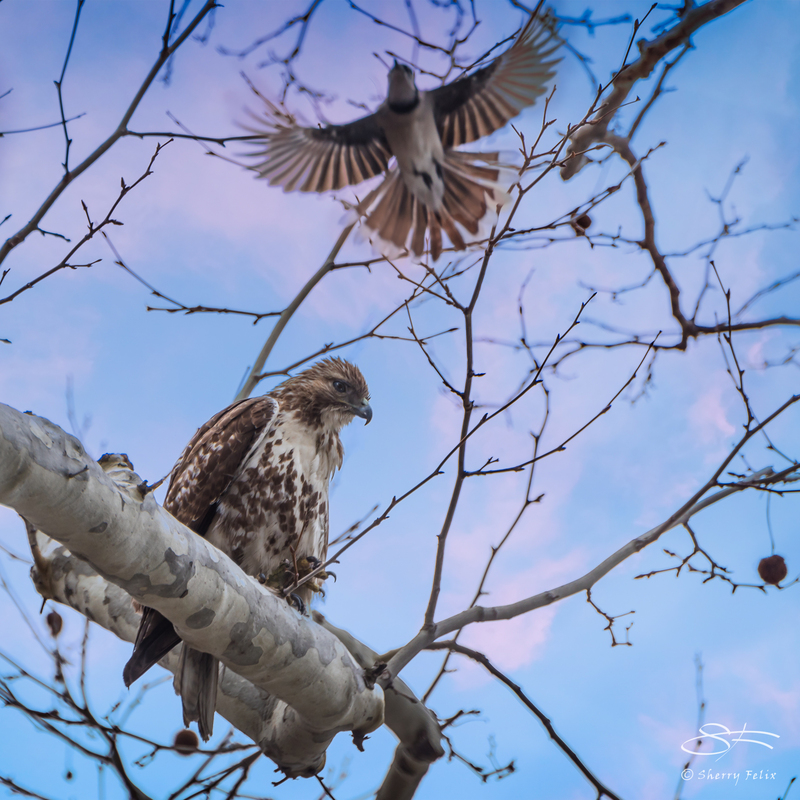 A Blue Jay bothering a young Red-tailed Hawk in Central Park photographed in March 2015. Blue Jays do not tolerate raptors. They scramble like fighter jets. I’ve seen this in my own back yard. Jays dive bombing a Cooper’s while the white-wings and sparrows all disappear. I see that in Central Park too. Fun to watch. The raptors usually just hunch up, scowl and ignore it. When looking for hawks or other raptors I listen for mobbing birds. What a beautiful image. Love the underbelly view of the blue jay, as well as the juxtaposition of the birds against the branches.